Our tour begins in Geiranger, a small community situated in an inlet of the famous Geirangerfjord, a UNESCO-protected site. Our winding road leads us in the direction of Lake Djupvatn, offering spectacular views of the entire valley along the way. We then continue to the top of Dalsnibba Mountain (1,500 m). We will find ourselves nestled amongst pristine scenery. We will breathe in extremely fresh air and remain speechless faced with the breathtaking landscape of mountains, waterfalls and lakes. If there is enough time, from here we can also see Geirangerfjord. After admiring the valley in all its glory, we make our way through the summer ski park on the Tystigbreen glacier, which sits at an altitude of 1,139 metres and Grotli. 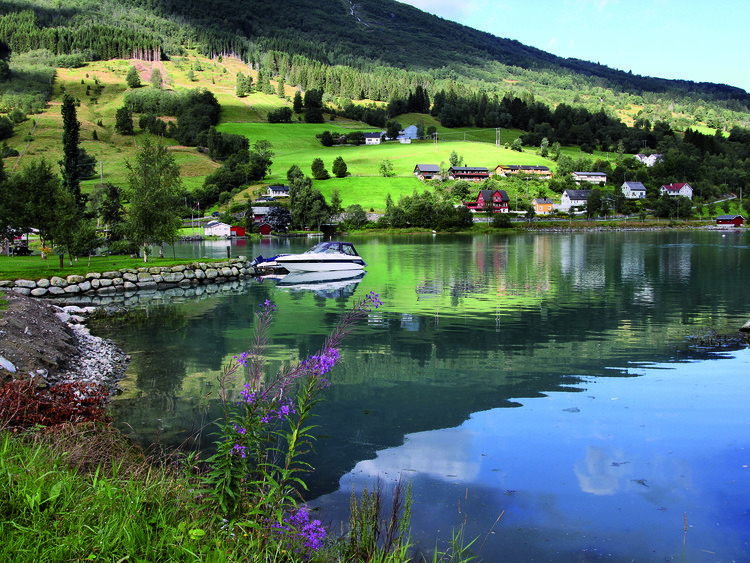 We continue along a road with 19 turns, all the while enjoying a landscape of exceptional beauty, in order to reach the villages of Loen and Olden on Nordfjord, one of the largest fjords in Norway. Next stop: Lake Oldenvatnet, which is encircled by majestic mountains. Our coach will drop us off outside the Briksdal hostel; our walk to the glacier, where a small lake has formed, will begin here. The glacier's impressive ice tongue lies before us, strong and powerful, putting on a magnificent show. We then head towards Hornindalsvanet, which is the largest lake in West Norway and the deepest in Europe, as well as offering the clearest waters in Scandinavia. By late afternoon, we will arrive at the village of Hellesylt, located in lower Sunnylvsfjord (a branch of Geirangerfjord), where the waters of the waterfalls fall straight into the fjord. The toll road to Mount Dalsnibba is usually open from 1st June; if it is still closed at the time of the excursion, the itinerary will follow the road from Belvedere Eagle Bend, which is open all year round.